Holiday in Cantabria & Asturias has it all - down on the beach, high up in the Picos mountains, mooching around quaint little fishing ports or marvelling at the historic cities of Santander, Oviedo and Gijón. 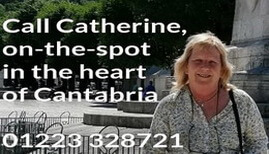 The gastronomy is second to none and there's always a cheerful atmosphere in the bars and restaurants - especially in the famous Asturian cider houses. 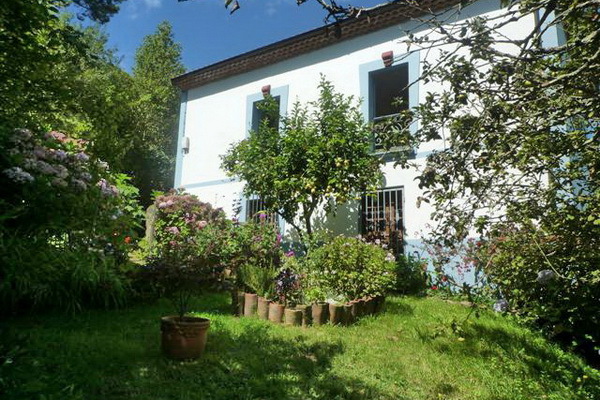 Casas Cantabricas offer a range of carefully selected holiday villas and cottages and charming small hotels in lovely locations along the Cantabrian & Asturian coast and in the hills and mountains. 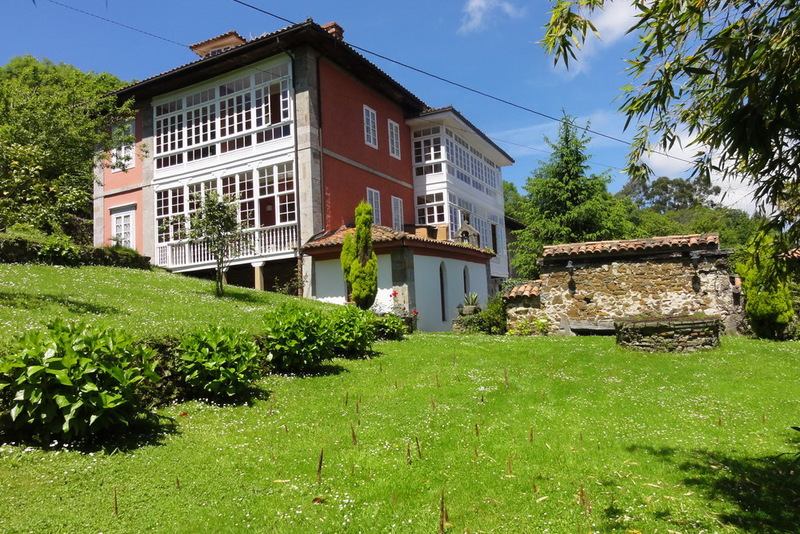 If you're interested in a touring holiday in Cantabria & Asturias and nearby take a look at our Caminos page - we've got some delightful itineraries to make the most of your visit. Once the last bastion of Christian Spain, where pre-Romanesque architecture contrast starkly with the fiercely modern Niemeyer centre and lofty mountains come right down to the coast - a holiday in Cantabria & Asturias surely has something for everyone! Let our team of local experts help you get the most out of your visit. Asturias has so many many magical places to conjure with, places close to Spanish hearts - in their history, culture and their holiday plans! 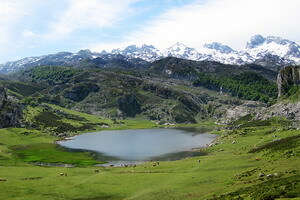 Covadonga, Cangas de Onis and the Cares Gorge all up in the Picos de Europa mountains; at the eastern coast, just below the mountains, Llanes, Lastres, Ribadesella and Colunga, all true favourites; in the centre, the historic capital of Oviedo with it's preromanesque architecture and over on the west coast a string of quaint little fishing ports from Cudillero and Luarca across to Ribadeo which marks the border with Galicia, all with a backdrop of soft green mountains where farming still forms the basis of life.